RisenStorm is a full service Thoroughbred management company. We support our client in every aspect of their thoroughbred business. Our Bloodstock Agency offers our clients the peace of mind that they will have an abundance of Quality information to allow them to make successful breeding decisions. We represent our clients in breeding decisions, managing sales, facilitating purchases, and managing racing programs, eliminating stress and increasing quality in their programs. 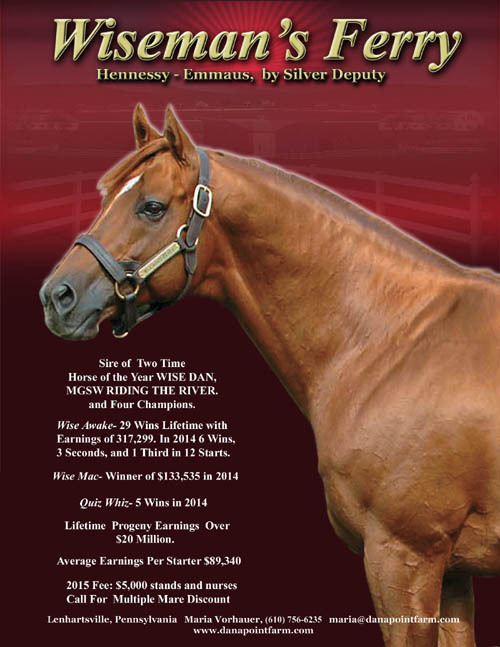 RisenStorm owns or represents several stallions in Indiana and other regional markets. We focus on offering quality stallions in regional programs, giving the regional breeder options that will improve the local racing programs and give them the opportunity to perform at the highest level nationally . We recently purchased the Grade I winning son of Smart Strike Swagger Jack and will be standing him in southern Indiana for the 2015. We believe Swagger Jack will not only give the regional breeder a foal that can compete at the highest level, but also provide the breeder with the option of commercial sales viability. RisenStorm also stands in partnership Lentenor. 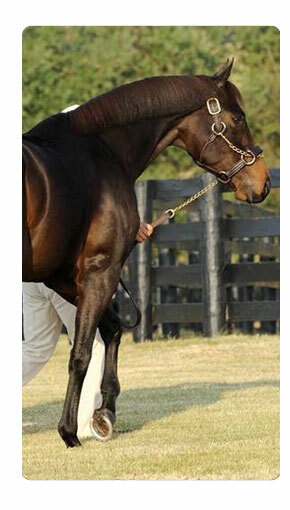 Lentenor is the stakes winning, track record setting full brother to Kentucky Derby winner Barbaro. Lentenor’s speed and stamina, which was passed through his dam sire Carson City and Sire Dynaformer, will provide a valuable combination to breeder’s looking for that top runner that will perform for many years on the racetrack. RisenStorm represents many other stallions. Give us the opportunity to help supply the Stallion Power needed to take your breeding program to the front. RisenStorm offers racing partnerships which allow new and existing owners to participate in thoroughbred racing, while limiting their risks by sharing the expense of race horse ownership with other partnership members. Racing partnerships allow partners to experience the exhilaration horse ownership while sharing expenses with other owners in the partnership. RisenStorm offers training for yearlings and two year olds. Making sure our clients young racing stock have the proper base to allow them to perform at their highest potential on the race track. Our relationships with on track trainers allow us to recommend the best trainer for each individual racing prospect. Our methods of training are reminiscent of training from the glory days of thoroughbred racing. Developing the strengths of the horse and using natural horsemanship principles to develop the athletes mind and body. RisenStorm not only develops your sales program through offering sales prep services, we also will create a marketing program to help promote your business, with our full service design and marketing company RisenStorm Marketing. From jackets and hats to print advertising to state of the art web presence. RisenStorm will develop a plan to take your business to a new level of excellence. Explore our site, come back often for updates, and if you have any questions please contact us. It does not matter if you are a large operation or someone just considering getting into the business. We would love to have the opportunity to get to know you and answer any questions you have about the Great Sport of Thoroughbred Horse Racing.